Queen’s Guards To Wear Synthetic Bearskin Hats? The Queen’s Guards at Buckingham Palace May Soon Be Wearing Designer Stella McCartney‘s Faux-fur Version of The Real Bearskin Hats if The Ministry of Defence in UK Agrees With It. The Army’s Guards regiments have for almost two centuries been fitted out with the real bearskin hats on ceremonial occasions, and they are one of the main tourists attraction in Britain. “Historically, England has a very high regard for animals, so it makes perfect sense that the MoD should continue shedding ceremonial furs from uniforms,” the Telegraph quoted McCartney as saying. “Initially the big bear fur hats were intended to make soldiers look taller as they marched over hills in battle, but they haven’t been worn in action for over a hundred years. “I’ve been working on this with PETA for a few years now and am really happy with the final product, as I hope the MoD will be when they see it,” she stated. It claims the plastic-fibre hat now meets rigorous Ministry of Defence water repellence tests, after years working on a technology called Bear28, and the hats are also fitted with air vents to keep wearers cool on parade. Dan Matthews, senior vice-president at the animal rights group, claims it is a “win-win situation” as the synthetic hats were cheaper than real bearskins, 230 grams lighter “and the bears will certainly be happier”. The MoD said it “remains open” to new ideas, but stressed that it would not be chucking out the original bearskins anytime soon. “The MoD remains open to testing material that industry might offer us to assess whether a faux fur meets the requirements for a replacement bearskin hat material,” an MoD spokesperson said. “So far industry has not been able to produce a suitable material to meet the Guards’ requirements. 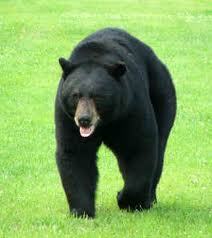 Could Guards wear Stella McCartney synthetic bearskin? Stella McCartney’s next job… designing for the Queen’s Guards? It’s easier to show than tell so here you go +Nobilis Reed. 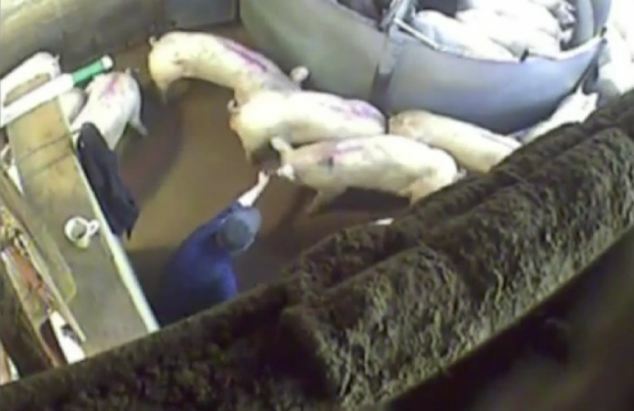 Two Slaughtermen Who Were Filmed Beating Pigs and Stubbing Cigarettes Out Their Faces Were Today Jailed. 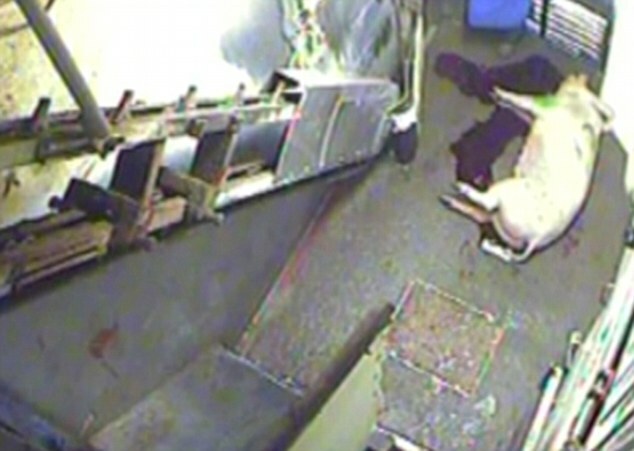 Piotr Andrzej Wasiuta, 30 and Kelly Smith, 40, Were Secretly Filmed by Animal Rights Group Animal Aid, Who Hid Cameras in Pig Pens at Cheale Meats in Brentwood, Essex England, UK. Members of the charity group wept today as the pair admitted cruelty charges and were sentenced to a total of 10 weeks behind bars at Westminster Magistrates Court, London, England, UK. 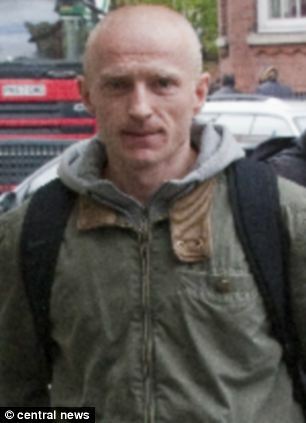 Piotr Andrzej Wasiuta, 30 Convicted of Animal Cruelty charges and was sentenced to a total of 6 weeks in Jail. Kelly Smith, 40 Convicted of Animal Cruelty charges and was sentenced to a total of 4 weeks in Jail. In the distressing video, Wasiuta can be seen pushing a lit cigarette onto the forehead and snout of three different pigs and forcing hot ash into one of the animals’ faces as it squirms to get away. His actions earned him a six-week jail sentence. 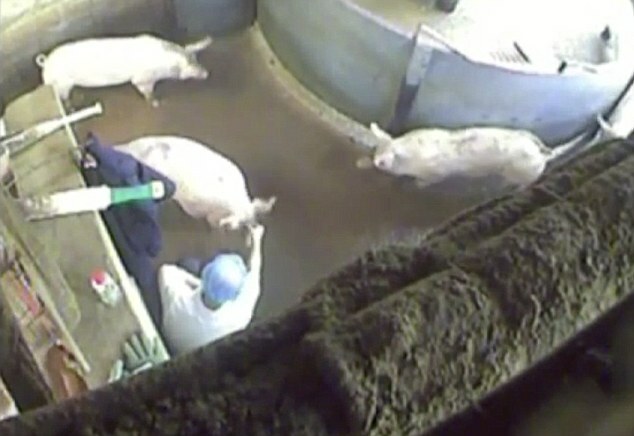 In another clip, Smith, an experienced slaughterman of 14 years, is seen beating the animals with the edge of a ‘slapper’ used to move the pigs around the pens before slaughter. He is later filmed hitting one pig 30 times in a minute – forcing the animal to sit down and pant heavily during the tirade of blows. The 40-year-old father-of-three was jailed for four weeks. 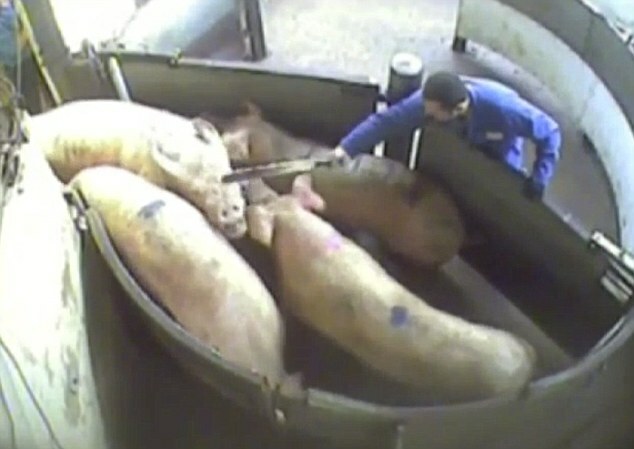 Prosecutor Duncan Penny explained to the court how the footage was obtained by a contractor at the slaughterhouse who had ties to Animal Aid. The filmed abuse took place in March and April 2011. 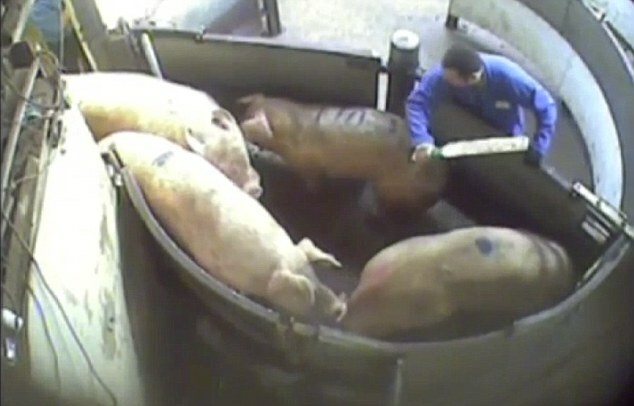 Caught- Kelly Smith was Filmed Beating One Pig a Horrifying 30 times in 62 Seconds. Jeremy Sirrell, defending Smith, said the beatings happened when he was under ‘extreme pressure’ at work. 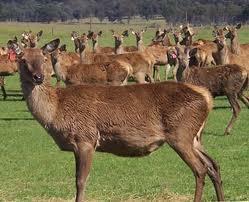 ‘They were expected to slaughter 1500 animals, or units as the company would call it,’ he said. Sundeep Pahkhania, defending Wasiuta, said he had been working in the slaughter house for under two months, and the abuse was part of a wider culture and couldn’t explain he behaviour. ‘In the CCTV, you can see another operative walking by, and he mentions nothing,’ he said. Animal Abuse: Piotr Andrzej Wasiuta will Spend Six Weeks Behind Bars After Admitting Stubbing Cigarettes Out in a Number of Pigs in His Care. ‘I suggest there was an established culture of this kind of behaviour. ‘He walks into it as very much a newbie. As he sentenced them both, Magistrate John Newgas told Wasiuta and Smith: ‘You have both seen the pictures of what took place. ‘They show clear animal cruelty no doubt about it. 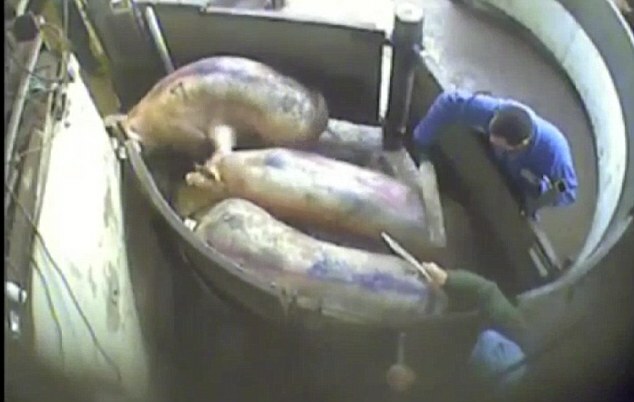 Both men have since been sacked from their jobs at the slaughterhouse. 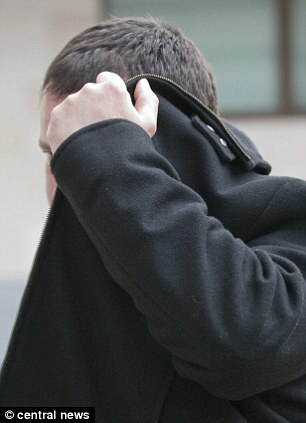 Stress: Kelly Smith claimed he was under intense pressure when he carried out the abuse. Animal Aid’s Head of Campaigns, Kate Fowler said the organisation was pleased with the result of the case – but urged the government to investigate two further slaughterhouses, claiming animals abuse is widespread across the industry. She said: ‘We are satisfied that Wasiuta and Smith have now been brought to justice. ‘Their acts of cruelty were inexcusable and caused untold suffering to animals who were already scared and vulnerable. ‘However, many other slaughterhouse workers, who also caused serious and deliberate suffering to animals, have escaped justice because this government refused to act. ‘We are now calling on the Food Standards Agency to look again at two other cases to see whether charges may be brought under the Animal Welfare Act. ‘Our detailed investigations have found illegality in eight of the nine slaughterhouses we visited, despite government-appointed vets being present in all of them. ‘The current regulatory system does not work. Cheale Meats have not commented on the case.